Driven by her belief that “people can change, and that everyone deserves to be treated with dignity and respect,” Kathy Fox, our October Vermonter of the Month, created Vermont’s first college-in-prison program to provide people who are incarcerated with a second chance at education. 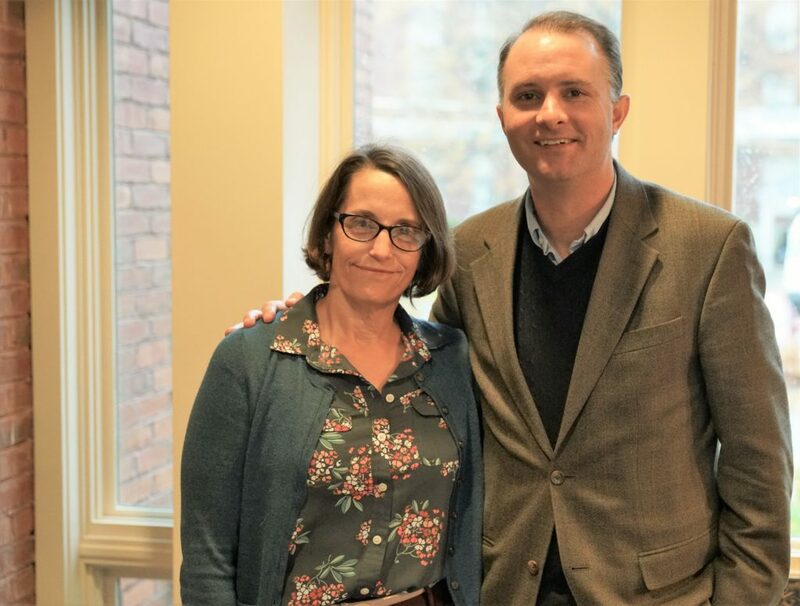 A native of Oklahoma, Kathy found her way to Vermont when she accepted a position with UVM in 1994 immediately after completing graduate school. Since then, she has been impacting the lives of her students and people who are incarcerated through her volunteerism, research, and teaching. 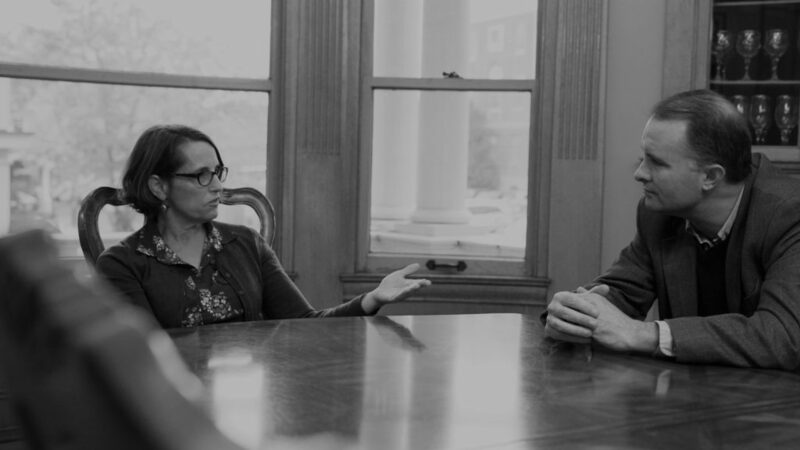 We had the pleasure of sitting down with Kathy to learn more about the work that she is doing and what drives her passion for social justice. How did you become interested in offender reentry/reintegration? I would attend criminology conferences and we would all be marveling at the incredible increase in the prison population and speculating about the issues that would be forthcoming when people got released. I had been studying Corrections for a long time and heard about the new reentry programs that Vermont was trying, and they sounded interesting to me. I learned about the unique system Vermont has with its community-based justice centers and was fascinated by the idea of considering reentry and reintegration as a community-level problem to address. Also, from my research inside prisons, I could see how incarceration creates a lot of deficits for people, such as being able to get a job with a felony record, etc. I felt and still feel that our system isn’t designed for success upon release. What inspires your work, both at UVM and in the community? I have been aware for a long time about the role that privilege plays in the trajectory of one’s life. I came from a privileged background and know that, but for grace, there go I. I am interested in doing research and activities, like the Liberal Arts in Prison Program, that contribute to the public good, so that drives my decisions about what to devote energy and time to. It stems from a firm belief that people can change, and that everyone deserves to be treated with dignity, respect, and a second chance. What have you learned from your work with incarcerated individuals? So much! I have learned that people are remarkably resilient. The accomplishments of incarcerated individuals are more impressive to me than those by people with privilege, because many of them have significant challenges. I have met some very intelligent people who would have gone on a different path had their circumstances been different. I have also learned the value of letting people inside know that there are people who see them, and hear them, and care about their futures. In addition, I have brought my on-campus students from UVM into the prisons for various activities, and I see tremendous benefit to that, for many reasons, but mostly to bring some humanity to their sense of the system. You have so many accomplishments, which, if any, are you most proud of? Well thanks! Personally, I am most proud that my spouse and I have raised two kids who are committed to social justice. But professionally, I think I am most proud of the Liberal Arts in Prison Program that I started (with lots of help from others!) because my hope is that it will be sustainable once I retire. We have only two semesters under our belt, but already a few incarcerated students, who were released, are pursuing higher education. Students have reported that they never thought they would be “college material” but now see themselves as students. That is deeply gratifying. What are you most hopeful for in the future with regard to offender reentry/reintegration in Vermont? I have been doing research on the Circles of Support & Accountability (CoSA) program for a decade and am heartened by the fact that Vermont has run more CoSA groups than any state in the nation; this is all the more impressive given how small our prison population is. I think this program will continue to grow, with positive results. With the advantage of having the community justice structure, and the web of volunteers growing, I believe we can change the culture and narrative about the responsibility to help people reintegrate after prison. I would like to see us reduce the number of people going into prison, but I think that change is coming. This entry was posted in Vermonter of the Month and tagged CAP, University of Vermont, UVM by ldunn2. Bookmark the permalink.